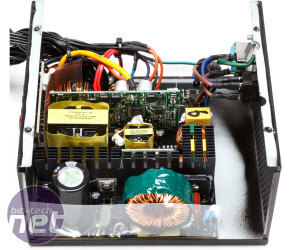 Enermax has developed a strategy over the years that frankly confounds us: it builds supremely well-designed, well-crafted power supplies that just, but only just, fall short of outperforming all of the competition, and then prices these in a way whereby we can only recommend them if you've just bought your seventh Rolex to go with your seventh Ferrari. 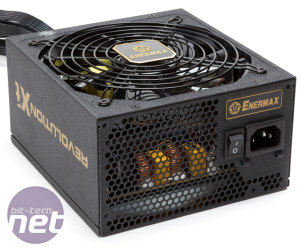 OK, maybe that's a bit of an exaggeration, but it's still a downright shame, as the unfortunately named Revolution X’t 630W that the brand delivered for this test is a very impressive power supply in most other respects. 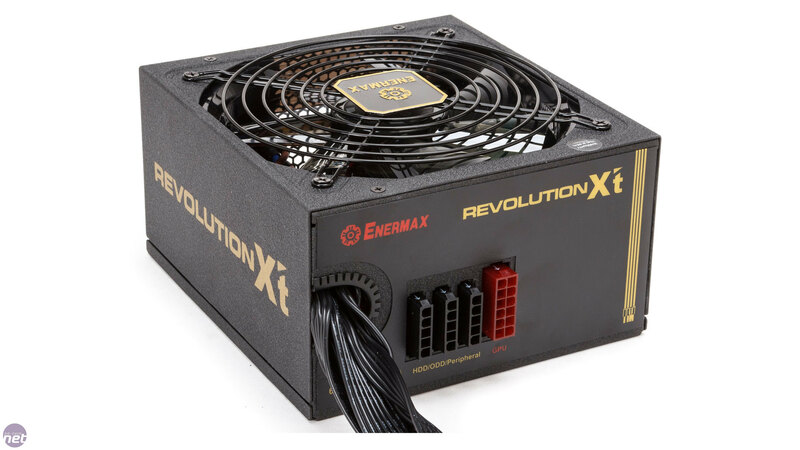 The Revolution X’t is certified as 80 Plus Gold but Enermax itself promises 93% efficiency. 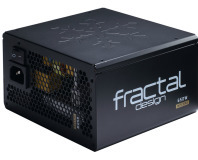 The design is Enermax’s own and it delivers 51A on a single 12V rail. It is not fully modular, with the ATX and CPU cables being fixed to the PSU proper, but there are expansion ports for HDD/SATA cables and for the GPU cables. The cables are not sleeved but since they are flat cables that makes perfect sense. 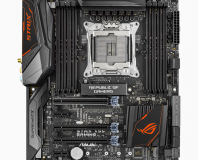 Enermax supplies a decent number of connectors: four molex, eight SATA and four 6/8-pin PEG. 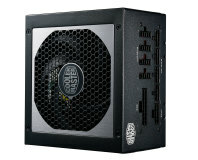 All are of more than adequate length, with the molex and SATA cables being particularly long. 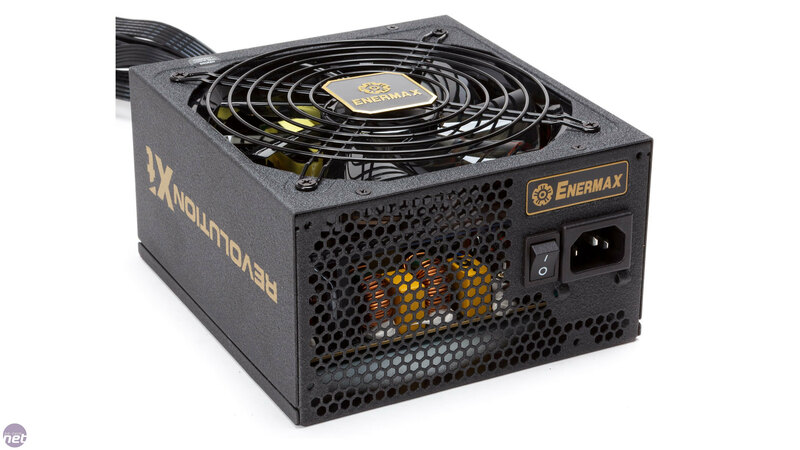 The test results confirm our earlier experience with Enermax: mostly excellent scores with one or two values that are somewhat disappointing. 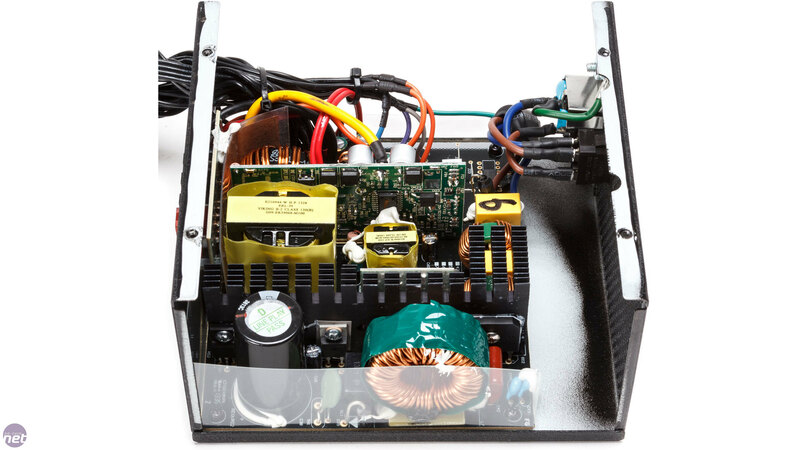 In this case, voltage stability is excellent, and this is the most efficient PSU in the roundup as well with an overall average of 89.63 percent. However, ripple values are a bit high compared to the competition, and the noise production is also higher than we would like. Both are too high in view of the asking price of almost £85. 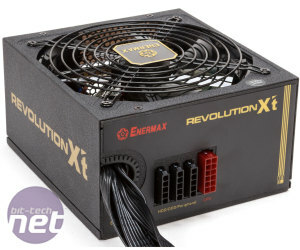 Therefore, much as we would like to, we can’t recommend the Revolution X’t 630W; it is simply too expensive to show even the tiniest flaw in the face of its cheaper competitors.